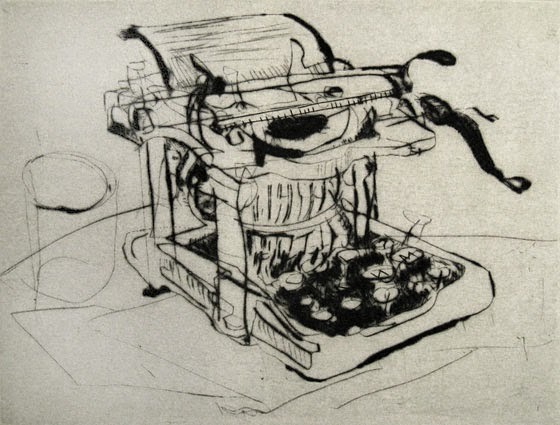 Take the drawing of an old typewriter, for example. 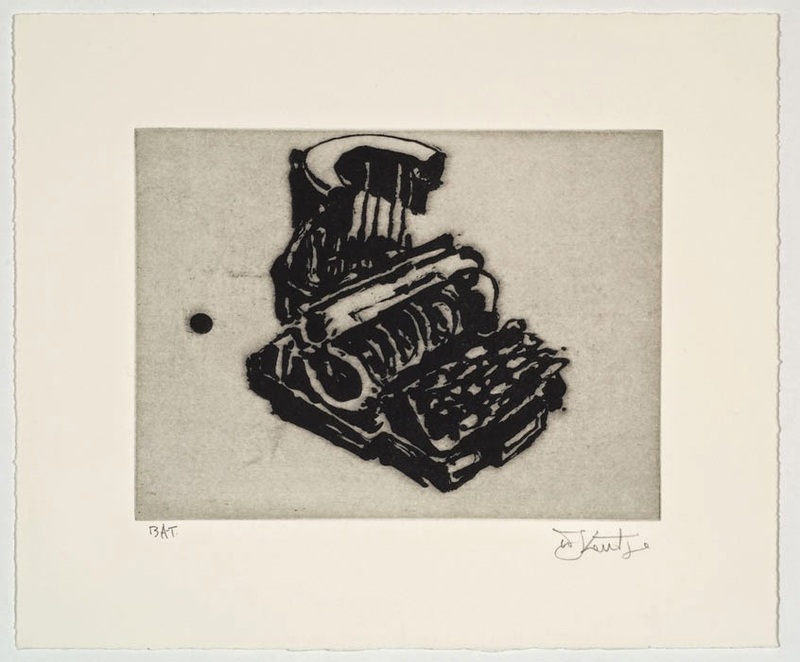 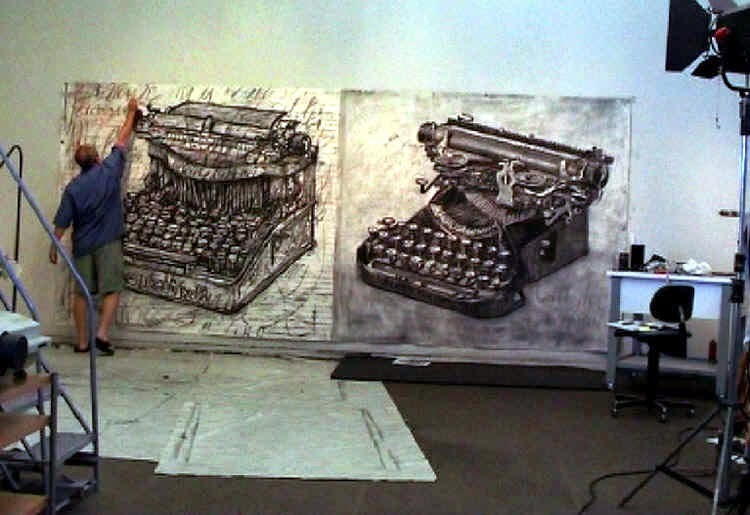 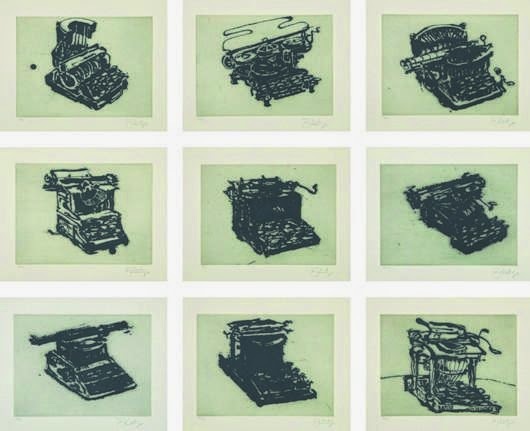 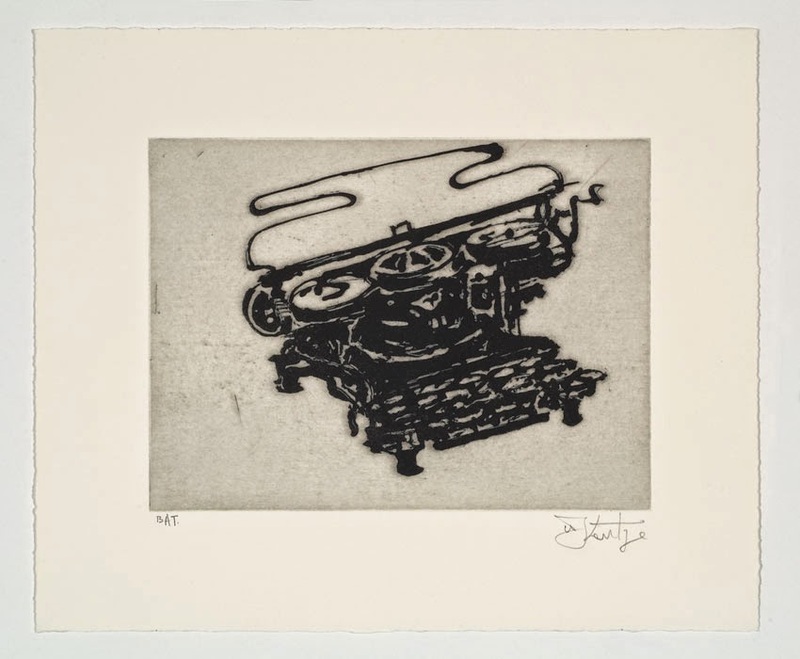 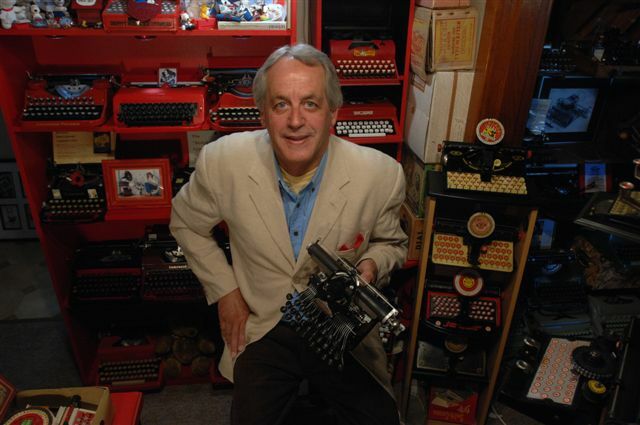 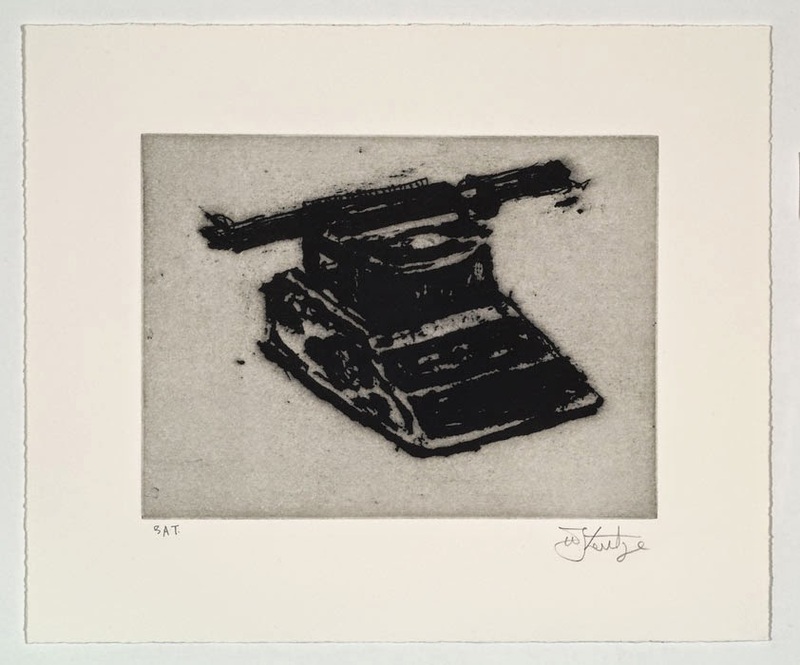 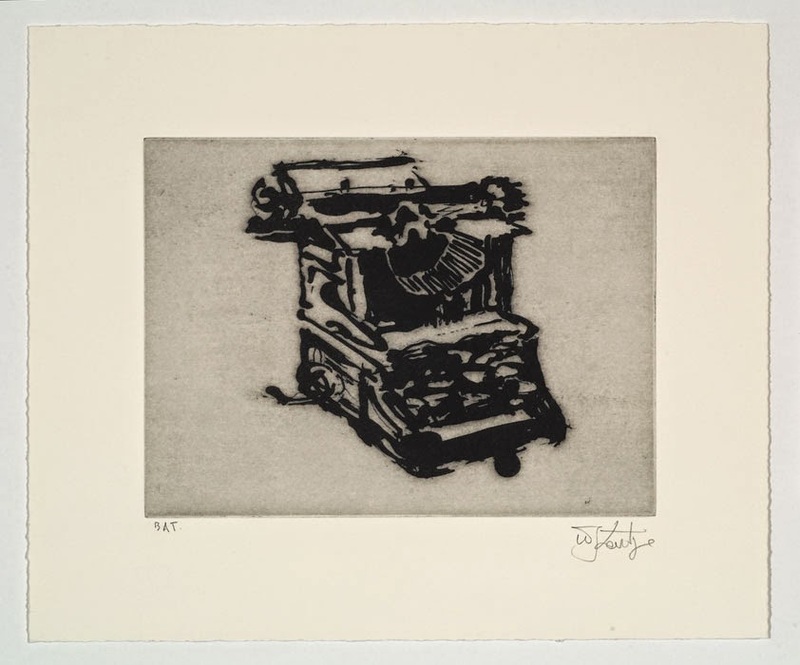 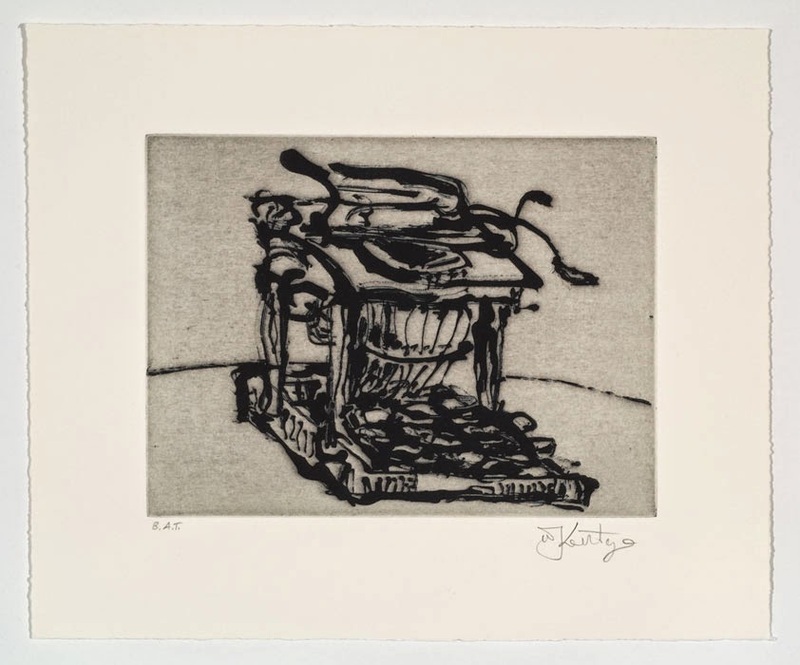 One has a universal image of what an old typewriter looks like in one's head, so there is an image of it, but it will be bland and inaccurate. 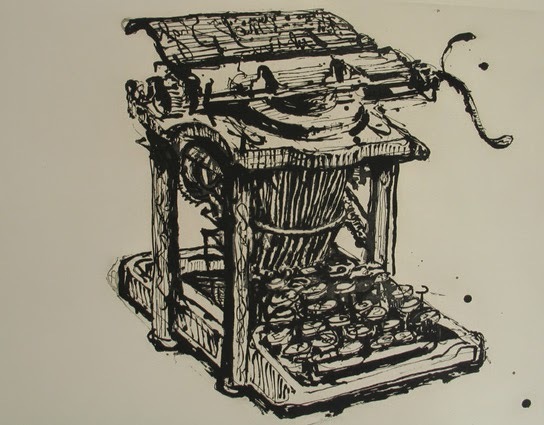 There are details of the different kinds of carriage returns, or different kinds of moulding of the black surface of the typewriter around the space bar, which are always more interesting than I could imagine. 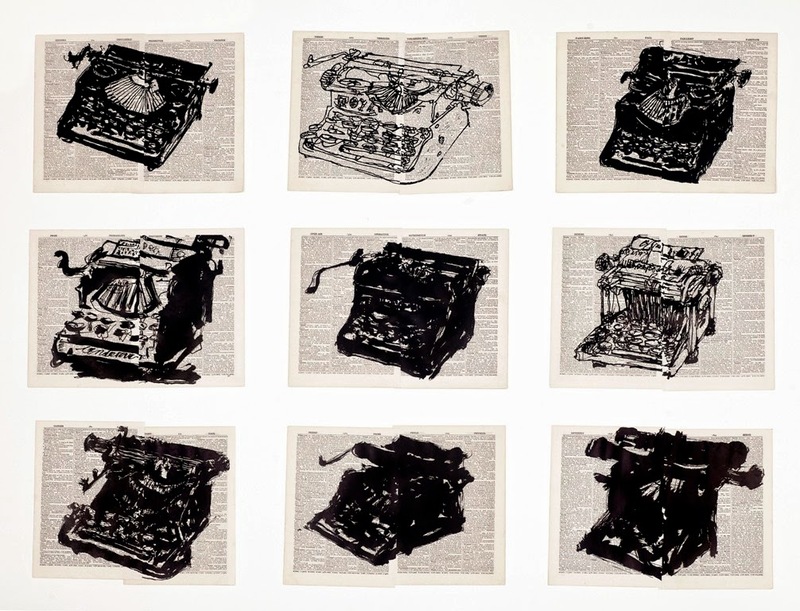 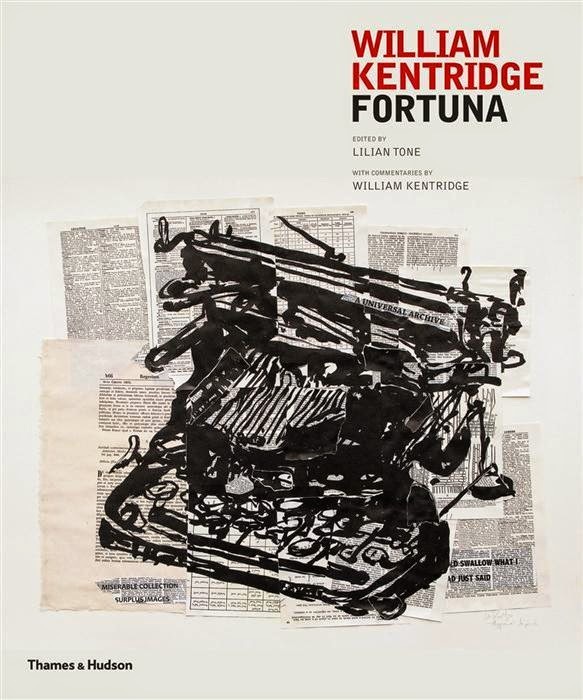 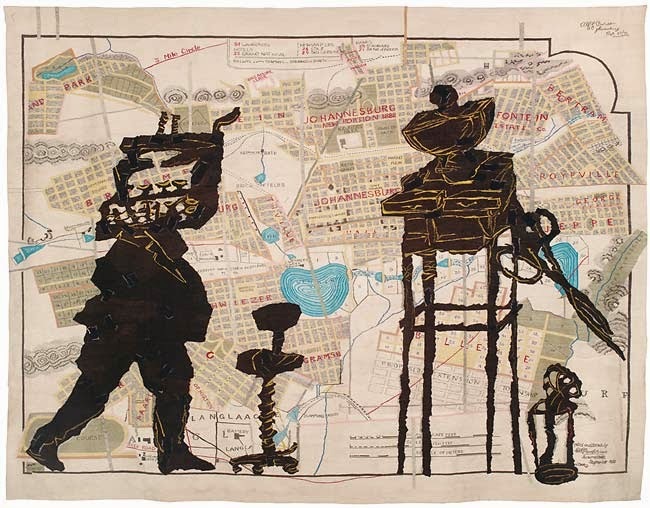 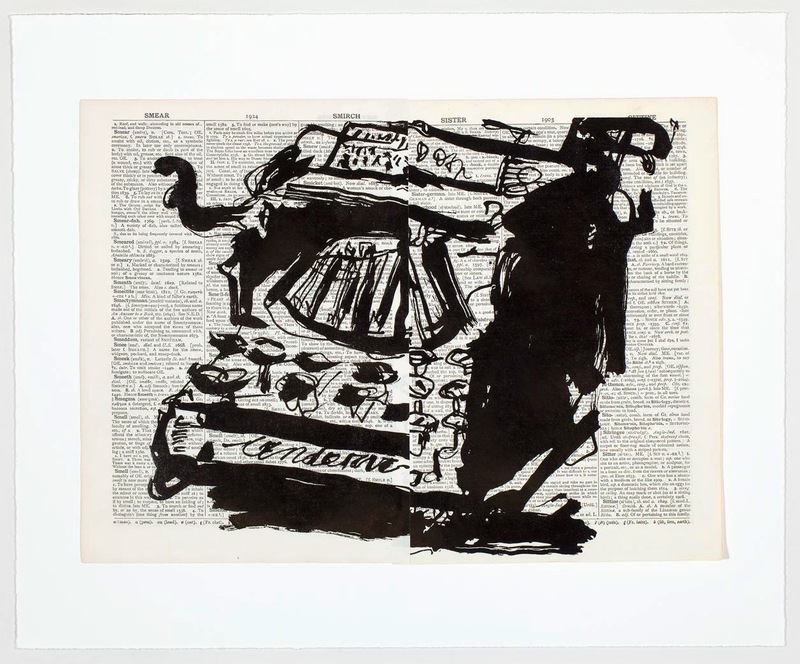 William Joseph Kentridge (born Johannesburg, April 28, 1955) is a South African artist best known for his prints, drawings and animated films. 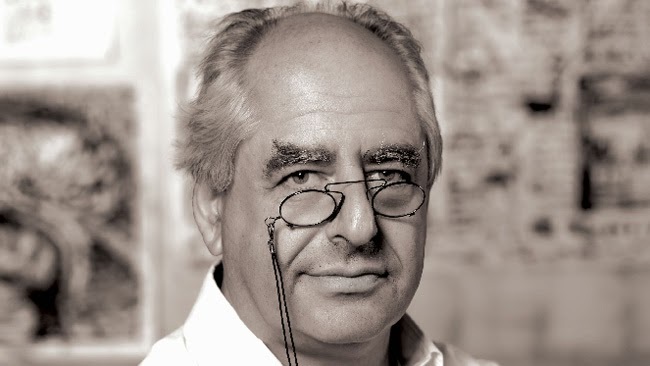 His parents were lawyers, famous for their defence of victims of the apartheid.